All of us have that one special person who is like a guardian angel helping us sail through in our life. 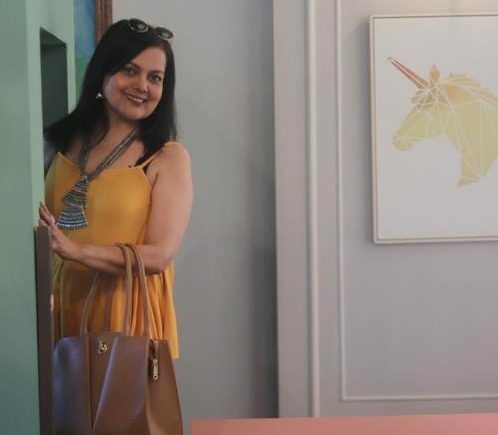 Sushmita Mukherjee, the talented actor known for her versatile roles, forays into the world of web series with role of a life coach in The Zoom Studios recently released show ‘Imperfect’. Talking about her role, Sushmita Mukherjee said, “I am very excited about my role in The Zoom Studios show ‘Imperfect’, as this is my first show for a digital medium. The shows made for digital platforms are finite and well scripted. I wanted to be part of such a series as it is relevant in today’s time and a sought-after medium. It also gives an actor the scope to play unconventional roles. The character I play is very different from the other roles I have portrayed on screen. I play the character of Simmy, a sassy and bossy woman, who has her own unique ways to teach Isha, the show protagonist, some life lessons and help her embrace her imperfections. ‘Imperfect’, the romantic comedy unfolds the journey of 27-year-old girl Isha Sanghvi, who in her relentless pursuit of perfection faces a whirlwind of uncertainties that life throws her way and rediscovers herself when her fairy tale world gets shattered.